Jane Goodall has always been an inspiration for Daniela’s work and passion for wildlife. In November 2017, she and her painter-sculptor father Hans Winfried “Abu” Abele met Jane. With a lifelong interest in animals and nature, he has traveled the world in order to bring his works to life. Now, in honor of Dr. Goodall’s 85th birthday on 3 April 2019, he has created several pieces that capture her connection to the chimpanzees of Gombe. View these and more of his work here. A lighted print of Daniela’s evocative London Riots series is currently on display at Oststr. 118 in Düsseldorf. 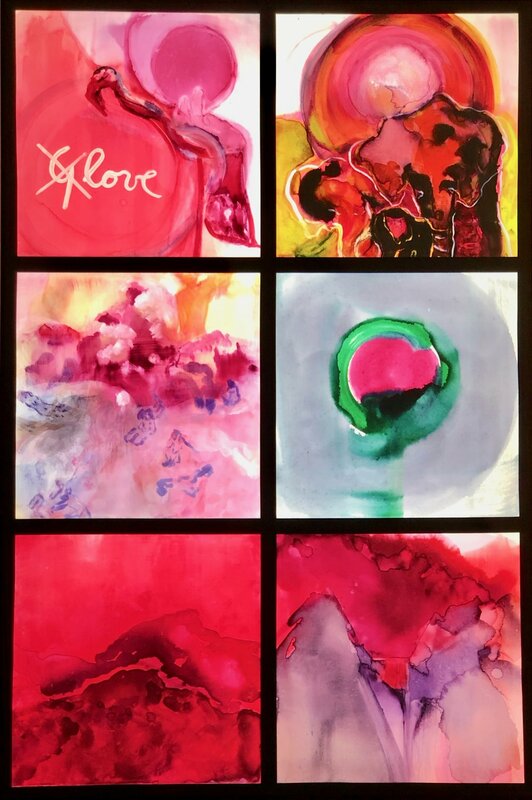 Come visit and see her work! In her recent exhibition ALL COLOURS, Daniela partnered with the Jane Goodall Institute, Deutschland. donating 20% of sales to the JGI’s Roots & Shoots youth program to empower children to make a positive impact on the environment. Left: An Old Friend, watercolor on canvas, 2018. The painting features David Greybeard, the first chimpanzee to approach Jane Goodall in Gombe, Tanzania. Much of Daniela’s artwork is inspired by environmental and social causes. 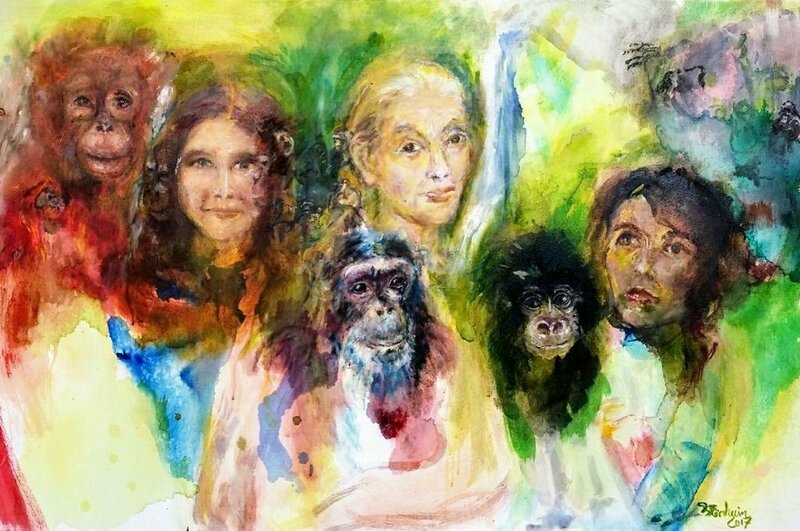 In this project, she depicts the “Trimates”, three trailblazing women who redefined man through the study of other great apes: Jane Goodall and chimpanzees, Dian Fossey and gorillas, and Birute Galdikas and orangutans.